The government wants to scrap 65% of cashew export levy that belongs to farmers. AS the government conducts direct talks with developed nations to secure reliable and profitable market for cashew nuts, farmers and traders have been assured of permits to export maize to other countries. Prime Minister Kassim Majaliwa said in Parliament yesterday that the move is aimed at ending a long time puzzle on the price and market for the cash crop. "Today (yesterday) the Minister for Agriculture will be holding a meeting with officials from such countries on the matter," he hinted, adding, "We are already in direct contact with big nations that buy cashew nuts; our aim is to secure profitable market for farmers." The Premier said the government was doing everything in its powers to ensure there is reliable market for cashew nuts and asked farmers to remain calm as the process continues. 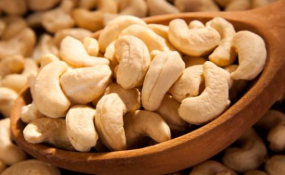 He said that so far there was good progress on cashew nut business and asked Members of Parliament to assure the public that the government is doing its best to resolve the matter. The Premier said the government had successfully resolved some challenges that were facing coffee and tobacco farmers, adding that so far, there is reliable and profitable market for the cash crops. According to the Premier, the same strategies are being applied to resolve the ongoing challenges in cashew nut sector. "We have managed to reach to the mutual consensus on coffee and tobacco businesses, the same strategies are being applied to ensure cashew nuts are sold at profitable prices," said the Premier. Recently, the Premier had a meeting with traders at State House in Dar es Salaam to discuss the matter. Unexpectedly, President John Magufuli attended the meeting and gave directives for immediate solution to the problem. The President ordered the immediate resumption of the auctions, with conditions that traders buy cashew nuts at a minimum price of 3,000/- per kilogramme. President Magufuli warned that traders who say they can't buy the crop at that minimum price should quit the business, saying the government was ready to buy the cashew nuts directly from farmers. Following his directive, cashew nuts traders agreed to buy the crop at a minimum price of 3,000/-, but requested removal of some levies they were charged that forced them to reduce prices when buying from farmers. Yesterday, the Premier assured the public that the government is determined to ensure cashew nut farmers are benefiting from the crop. On the exportation of maize, the Premier said the government is issuing permits to traders who wish to export maize, adding that farmers are currently allowed to sell maize outside the country without problems. However, Mr Majaliwa said in whatever business, the NFRA must be contacted for the substantiation of amount of food, which is exported. "The government through NFRA must be aware of the amount of maize, which is exported, this helps us to know the state of food reserve in the country," he noted. The Premier was responding to Mr Maftah Nachuma (Mtwara urban-CUF) who wanted to know if the government had already started to buy cashew nuts from farmers in Mtwara and Lindi regions. Also, Ms Luciana Mlowo (Special Seats- Chadema) wanted to know if there were any efforts by the government to find reliable market for maize, which is produced in high quantity in the country.